ar poster entitled, The Same Spirit, by Charles Gustine. The image is a variation of the Spirit of Seventy-Six painting. According to two mid-state historians, one of the more interesting aspects of the state’s war effort, was the way Tennessee chose to memorialize the sacrifices of it Great War heroes. Dr. Lisa Budreau is Senior Curator of Military History at the State Museum. She’s also the author of Bodies of War: World War I and the Politics of Commemoration in America, 1919-1933. Budreau notes that two Tennesseans in particular brought national and even international renown to the Volunteer State. Dr. Robert Hunt teaches history at Middle Tennessee State University. He shares a true story about Colonel Luke Lea that sounds like the script of a Hollywood movie. 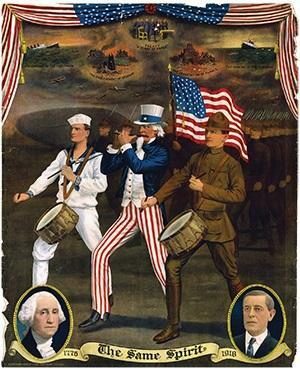 After defeating the Axis powers, York, Lea, and all the other Tennessee Doughboys returned to heroes’ parades in the spring of 1919. Dr. Budreau painted the picture of one Nashville greeting in particular. 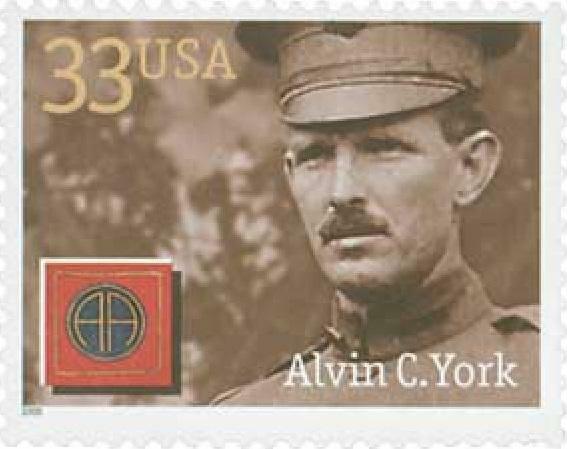 A U.S. stamp commemorating Tennessee WWI hero Alvin C. York. Dr. Budreau added that, while men physically fought the war in Europe, Nashville’s wealthy women were the field generals and foot soldiers of that memorial effort. The fruits of their labor paid off on September 21, 1925, when the War Memorial Building was dedicated just a stone’s throw from the State Capitol building. According to Dr. Hunt, the memorial was designed to be used, rather than simply viewed. “It became very important to people at the time to make sure that their memorial whatever it was, served practical purposes as well as memorial purposes. Some ways in part of, literal everyday movement of daily life,” she said. Dr. Budreau highlighted specific practical aspects of the memorial. Indeed, it was a very practical office building, auditorium, and a museum for honoring veterans. However, it differed drastically from memorials enshrined for the previous major conflict that involved Tennesseans -- the Civil War. Dr. Hunt stated the way of honoring soldiers was too antiquated. “There is a temper to the times, and it’s not just in Tennessee, that the statues, the marble stuff, from the Civil War represented a decrepit old world way of how you remember a war,” he said. Women also were the main fundraisers and organizers for Confederate statues throughout Nashville and Middle Tennessee. In 1903, Kate Litton Hickman established the Nashville chapter of the United Daughters of the Confederacy. But after World War I, Dr. Hunt said the group’s focus changed. Interestingly, Dr. Hunt said the few surviving Confederate veterans focused more on moving forward instead of glorifying their own past. The dedication of the 1927 Battle of Nashville peace monument was held on Armistice Day, a World War I holiday. But on that November day in 1927, Dr. Hunt asserted the American Legion soldiers from World War I and the aging Confederate veterans seemed united. “Basically the way the Legion saw it, and the way the older Confederate veterans saw it as a, here are kind of the old guys passing the baton to the new guys. It’s important for them to understand that the World War I veterans are now the people that are representing America in the new world,” he said. So ten years after America’s entry into World War I, Tennessee veterans seemed content with recognizing a united country more so than their Confederate heritage. One-hundred years later, that transition is still a work in progress. 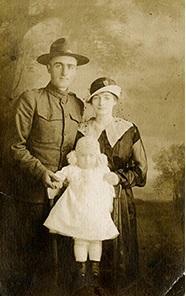 Visit the State Museum website if you’d like to learn more about “The Yanks are Coming” exhibit.